PH bet Monika Sta. Maria topped the fourth photoshoot in Asia's Next Top Model Cycle 3. Models from Vietnam and Hong Kong were eliminated. For the first challenge, the contestants are greeted by Georgina and Senior Artist from M.A.C. Cosmetics Singapore, Beno Lim, at the M.A.C. studio. 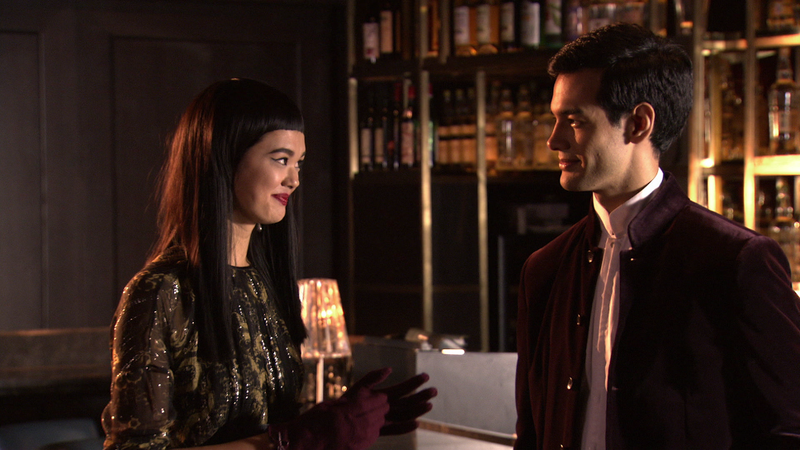 In the second challenge, The girls get intimate with a handsome male model in a steamy Shanghai themed photoshoot. Many of the girls let their lust and emotions get in the way, compromising the fashion aspect of the shoot. The model who got the first call-out was Monika Sta. Maria of the Philippines. Celine from Vietnam and Loretta from Hong Kong were eliminated. Suportahan mo na lang kapwa mo. talo yan! Himala pa nga kung maging second best pa yan! Who is the male model?